Does someone you know or love have a health challenge? Do you think you may? If so, you may wonder how you’ll ever cope. After all, it wasn’t your choice to be in this position. It may be helpful to know that there are several factors you can control. Living with Health Challenges offers a first step toward understanding key current health issues. Each title is a comprehensive guide that examines your important questions. What are the causes and symptoms? What are the treatment options? What are some necessary lifestyle changes? Where can you go for help? Living with Health Challenges unlocks some of the mysteries surrounding these difficult issues and helps you make healthy, informed decisions so you can get on with life. Pizza. Pasta. Chocolate cake. For many people, these are favorite foods. But they can cause serious problems for anyone suffering from celiac disease. 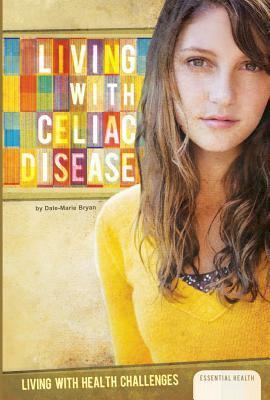 This book offers specific advice on how to sustain a happy, healthy, gluten-free lifestyle. You’ll find that many traditional foods can be prepared without gluten. That means you can have your cake and eat it too! Stop focusing on what you can’t have and open your eyes to what you can enjoy!